The rising demand for cloud storage and file sharing has shown a rapid increase in its related versatility too. This is one of the prime reasons for enterprises to jump over cloud backup solutions. Enterprise cloud backup solutions have emerged as a powerful tool to meet the storage and computing needs of every business entity regardless of its size. Also, opting for a local online backup provider has resulted in saving a substantial amount of money and time for the IT investors simultaneously. 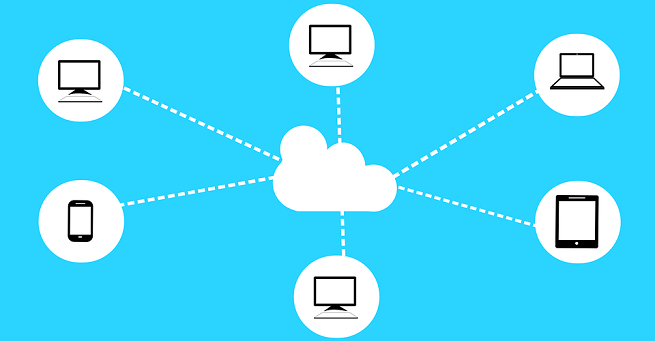 This ever-increasing demand for storage and computing has introduced a cloud backup solution industry that claims to offer cloud services at an affordable price with easy-to-use remote accessibility in a seamless manner. However, with every new technology, be it physical or virtual, there accompanies a certain set of security risks and vulnerabilities. We all know the advantages of inheriting cloud backup solutions in our enterprises, but have we ever been warned and told about the risks that happen if we do not adopt it at all? There lies the trickiest part! In this post, we have tried to mention some of the top risks that need to be addressed so as to make the enterprise aware of the consequences. 1. Accidental Deletion of Files: Human error is one of the biggest data security risks. From a general survey it has been conveyed, human error accounts for 32% of the risk of data loss. Accidentally deleting any important data without taking the backup could result in permanent loss of the data of an enterprise. 2. Mechanical Damage of Hardware: The mechanical damage to the computer system or the server can happen due to any reason, at any time. A malfunction like this can be very devastating and can incur a great loss. An electric failure or even a media crash can be accounted as a mechanical damage. 3. Power Outage: When a user shuts down the system immediately without following proper shutdown measures, could lead to problems with rebooting the operating system later. This can initiate a chain reaction resulting in data loss due to power outage or be leaving the user helpless while accessing the data. 4. Virus attacks: You must always install a powerful anti-virus software that can help prevent your system from getting attacked by threats and vulnerabilities of the viruses, if not opting a cloud backup solution. It helps the systems from not getting infected. 5. Theft: if the user opts for data back up and store the important files and folders in a separate location, the consequences of stolen equipment becomes less bothering. It may become a little tedious to replace the equipment and store the previously saved files from the cloud backup storage, but not at all impossible to obtain them at all. 6. Water and Fire Damage: Natural calamities such as flood and fire can lead to a huge loss of data. However, the cloud backup solution provides the users with the protection from the natural disaster. It is very essential to store your data in an offsite location or on a cloud server to avoid being helpless in storing the data in a situation like these. You may think the possibilities of such occurrences could be low but think of the consequences of losing all your enterprise data and not able to recover them at any cost. Scary, right? So if you have not planned for any cloud backup solution yet, or are planning to opt for one – i2k2 Networks is the one-stop destination for all the server backups services and products you wish for. This 20-year old multifarious business activity organization is an exemplary cloud solution provider- from dedicated web hosting to the backup solution to DRs to Cloud Storage – you name it. Call us at +91-120-466 3031 | +91-971-177-4040 or drop a mail at sales@i2k2.com to help us understand your business needs. Office 365 vs G Suite: Which one suits best for your business? Windows Server 2019: How to plan your migration?